One simple question...why do craft brewers choose W.M. Sprinkman as the supplier for their craft brewing equipment? If "Made in the USA" is important to a brewer, we fit the bill. Our systems and equipment are designed and manufactured at our two Wisconsin facilities. 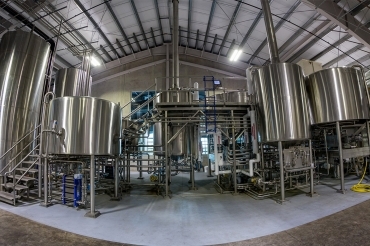 If quality materials and craftsmanship are it, our experience in meeting dairy and food grade requirments for some of the countries largest brands translates to superior brewing equipment. 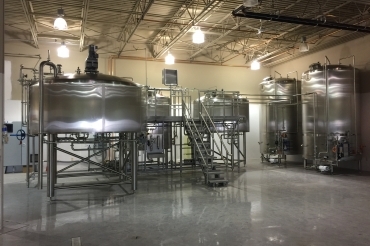 Some brewers want to be assured that their provider will be there to provide training, advice on how to handle growth or troubleshoot a problem. Our responsiveness wins them over. One customer said he continues to use W.M. Sprinkman because, "they say what they do and do what they say". Shouldn't everyone? Don't necessarily take our word for it. We can provide you with a full list of brewing customers so you can talk to them yourself. Or just ask around the industry. Our Sprinkman Brewing Systems and equipment can now be found from New Jersey to Hawaii, Montana to Florida and we would love to talk to anyone in between!